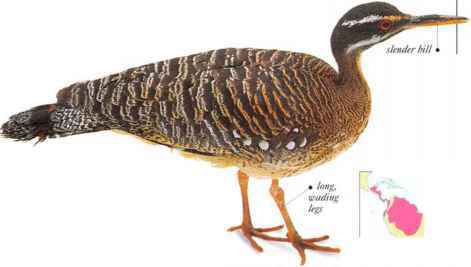 I living alongside shady forest streams, the Sunbittern is a slender bird with a sedate, deliberate walk. Single birds or pairs forage along the water's edge for insects, spiders, crustaceans, and small fish. Sunbitterns hunt silently with tilted bodies, ready to seize prey with a quick jab of the bill. When disturbed, they fly up into the trees. In flight, they reveal a large, dark "eye spot" on each wing. • NliST A rounded heap of moss, other plant material, and mud, with a nest hollow on top, lined with leaves, and built on a horizontal tree branch. • DISTRIBUTION From C. Mexico south through Central America to the Amazon basin. • REMARK The eye spots are an important feature in display behavior, in which the bird holds out its opened wings and fans its tail. 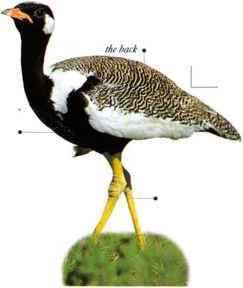 I his slender, long-legged bird occurs in tropical and subtropical grassland. It hunts small animals such as insects, frogs, mice, rats, and snakes, as well as eating leaves and other parts of plants. 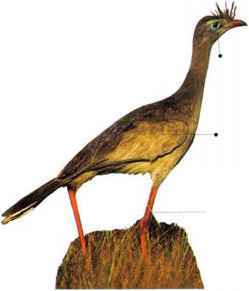 With its long, powerful legs, it is a fast runner and rarely flies, preferring to escape danger on foot. It is usually seen walking around with uptilted bill, the feather tuft on its forehead giving it a supercilious appearance. The Red-legged Seriema titters yelping calls. • NliST A well made, compact cup nest made of sticks and twigs, placed either in a tree or on the top of a bush. • distribution E. South America from Brazil and Bolivia to Argentina. 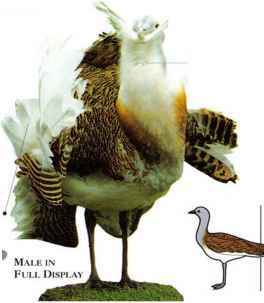 • Remark in its appearance and behavior, this is the South American equivalent of the Secretary Bird of Africa (seep. 100). 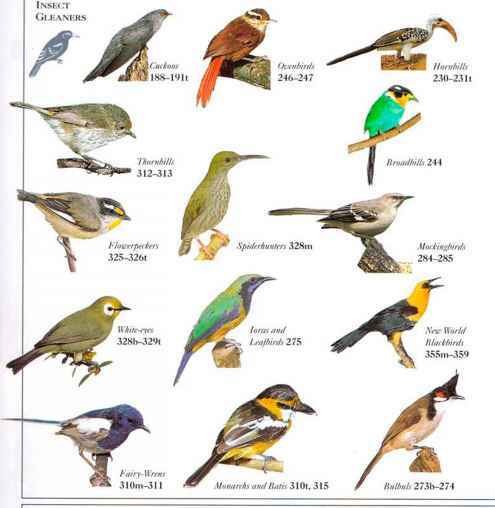 Both are ground-dwelling birds that live in grassland, hunting small animals.